“It is very damaging, with anti-Semitism being what it is. Not to mention that being a Jewish mother is nothing like the way they portray it. “It is just the next stage in this culture of humiliation on television, and I think it is appalling. The winning Mum will be awarded, among other things, a column in England’s The Jewish News newspaper, with whom the show is partnered. 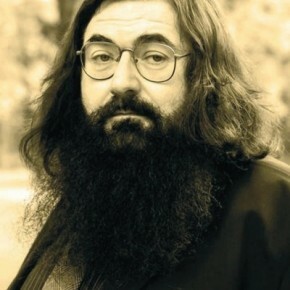 The panel of judges includes columnist Tracy-Ann Oberman (yeah, we had to wikipedia her too) and Yiddish Scholar/Bruce Vilanch look-alike/Amazing Beard have-er Dovid Katz. It appears, though, that the charges of inviting anti-semitism hasn’t dampened audience enthusiasm for the show, whose website features recipes for chopped liver and “Jewish Chicken Soup” (As if there’s any other kind) and a glossary of yiddish and Hebrew terms. Thanks Marc, we’ve updated the piece. I can see why this is definitely offensive, but then so are things like Jersey Shore to Italians, etc. These reality shows are just a new version of the old exploitation films of the 70’s. Although as an expat American Jew here in the UK, I kind of welcome it in the hope that it will at least make English Jews more visible in the culture. The majority of UK Jews seem to be very conservative and isolated, so as a Reform Jew living out in the country I feel very alone and like being a Jew is weird an unusual, something I never felt in the US, at least the Northeast US. Hopefully the UK will maybe pay more attention to us now, and maybe even start selling matzoh in shops! Somehow the mothers in this clip don’t have the same effect without a Brooklyn or Israeli accent.